January 29, 2016 Summerita Rhayne Book spotlight, Excerpts	ancient engineers, ancient India, fiction, historical, rogues and princesses, royalty, The Eligible Princess. For Princess Lakshaya it seemed the only course open to avoid getting married and she did it. I loved writing about this intrepid princess and also her counterpart, a magnificent king. He supports her even in her engineering pursuits – but she flees him to avoid having to accept his proposal. Seems so unreasonable, doesn’t it? But Lakshaya is far from illogical. Her story is full of twists and turns as she wrestles between following the path of her heart and expectations of her family. King Kartikeya wants a bride. If he wants his people to remain loyal to him, he has to present princess from the North to them as his wife. He will do his utmost to keep the public happy and his crown in place. Princess Lakshaya is tired of being presented to royal suitors again and again and getting rejected. She wants nothing better than to paint or conduct her mathematical experiments. A grand king like Kartikeya would only find faults in her. She is afraid she would fail to impress him and be taunted for it. But Kartik is not at all what she expected. Attractive and dashing, he sets out to woo her. She’s intrigued and ensnared by her magnificent suitor. He almost wins her heart but then she finds he has secrets and a past which she cannot accept. 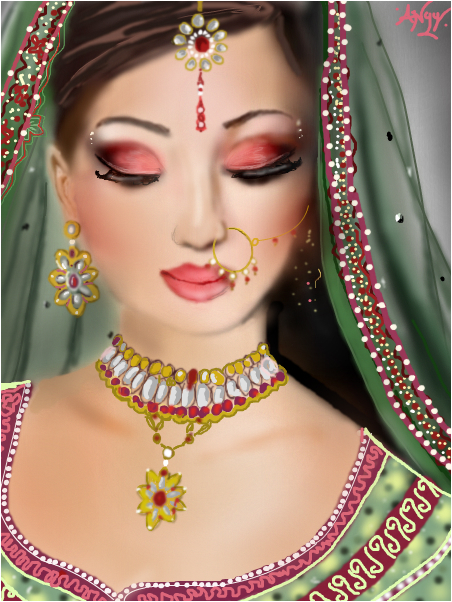 From princess to queen, The Eligible Princess follows the journey of Princess Lakshaya to find her destiny – and love. Imagine reading a book of one of your favourite authors and absolutely loving it and then somehow losing it and even forgetting what the title is. Then few years later feeling like reading a book from the same author (Georgette Heyer) and just absently ordering That book! I was delightfully surprised at the end of second chapter when I realised this was the book I had often wanted to re-read but not been able to find. Don’t want to spoil the surprise so I won’t comment on the story. I puzzled over who was the hero for quite some time because Heyer carried it off in her superb style, so if you want to really enjoy, Don’t read the reviews! Just get your nose into the book 🙂 If you love Heyer, you have to read this one! Without giving away the story, I will share what I loved. All the characters stay true to their nature. That’s a difficult one to pull but I have seen Heyer do it in so many of her books. I especially note the minor characters in her stories and marvel that she pays such minute attention to even those! You don’t get a chance of an eye roll moment because the motivations are rooted firmly in the character portrayed. I can’t help dissecting the book from an author’s point of view. From the reader’s, you might find yourself a bit lost in the first chapter but soon the characters shape up and you’re right in the story. No need to expound on the details of her research because if you have read one of her books, it is a matter of fact. Have you rediscovered an old favourite book by chance? Share your experience. Have you read Cotillion? What was your impression? Please label spoilers if you put them in. 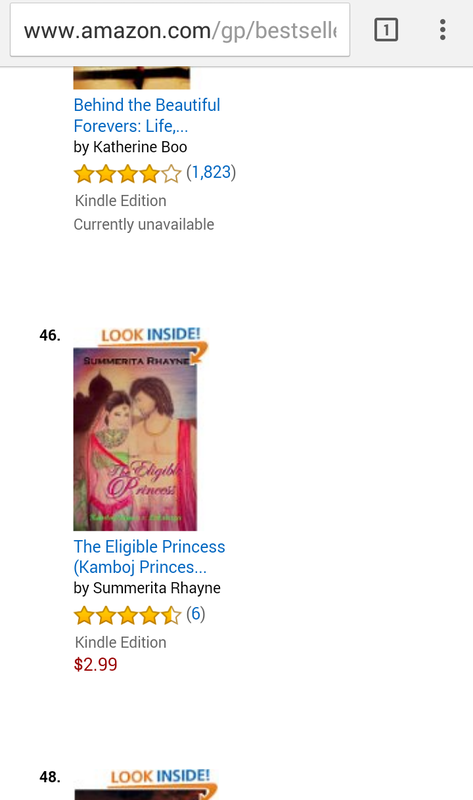 September 5, 2015 Summerita Rhayne Book spotlight	book sale, fiction, historical, Kamboj Princess Saga, kindle deals, The Eligible Princess. Wicked Rake Defiant Mistress is a Harlequin historical romance by Ann Lethbridge. The beginning was really grab -your-throat type intriguing. It wasn’t very clear why the heroine had to take the very desperate steps and lie all the time but still the author generated enough interest to hook the reader. As I read on, I realised that every time the story settled, a fresh, quite unforeseen twist was added. This worked to quite an extent but also took the story far away from its original fresh idea. Sometimes one did feel like shaking some sense into the characters but on the whole I liked the wrap up. I had the feeling the author intended this story to be something else but then the latter part was added to mold the characters to the expected form in the genre. The character of the hero also changed quite a lot and the change was so sudden, almost like an afterthought. It looked like he was moulded to fit the title and the genre expectations. For the writing and the original idea, I rate this book four stars.